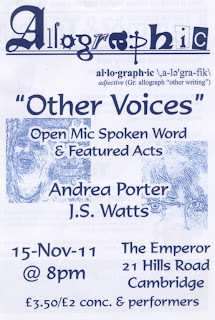 J.S.Watts will be reading alongside Andrea Porter as one of the featured acts at Cambridge's Other Voices on Tuesday, 15th November 2011. This spoken word event includes open mic (and the entry cost is reduced for poets who are willing to stand up and perform one of their pieces). 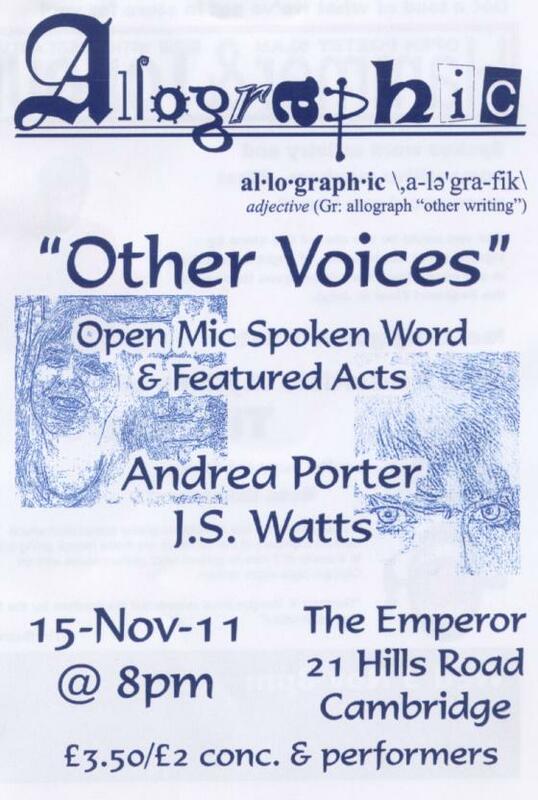 The event is being held at The Emperor, 21 Hills Road, Cambridge, CB2 1NW and performances kick off at 8pm.